Cost: FREE for Chapter Members. $3.00 Requested donation at the door for non members. (We encourage and invite guests to join our group, and will happily apply their $3.00 to the $15.00 Annual Mohawk-Hudson Dowsers Membership). Directions: From I-87 take exit 12 (Route 67 West) into the center of Ballston Spa, then turn left (still route 67) onto West High Street. The modern style building is a couple of blocks down on your right. Map dowsing is a useful skill for finding lost objects and pets, whether the map is a simple sketch of the floor plan of your house or a map from online or a paper map. It doesn't matter what you use. 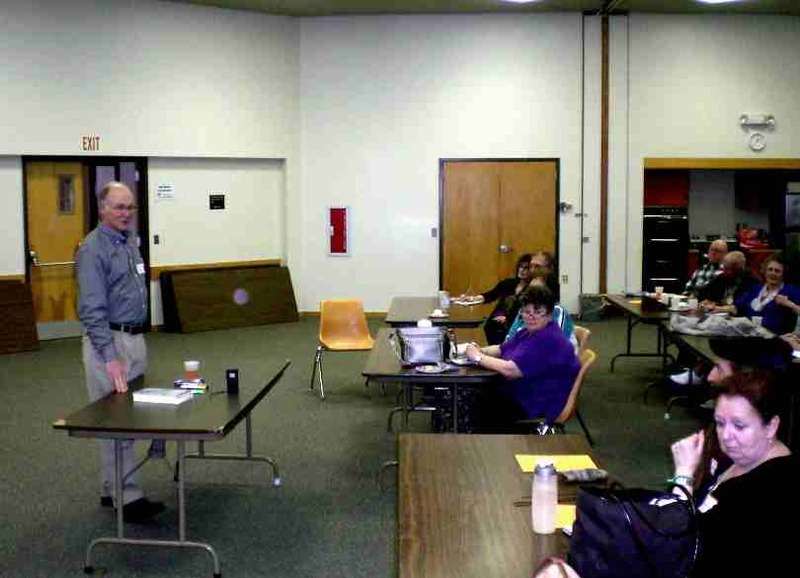 Our speaker, Leroy Bull, will teach us how to prepare ourselves for this type of information dowsing. We will learn about clearing, timing and focus; letting the answer go, some information dowsing techniques, other techniques to aid in locating the object, and some obstacles to finding the area it represents. Bring your dowsing tools. There will be time for questions and answers. Quantum Dowsing Technique” Presented by Brandon Dey. July 2019 - Adhi Two Owls - Dr. Adhi Moonien Two Owls is a trained Artist, Shaman and Healer. Adhi has been teaching workshops in shamanism, dowsing/radiesthesia, and other esoteric healing practices on a regular basis for many years. 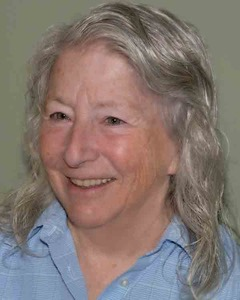 She has a broad and deep knowledge in her fields and is an excellent teacher. Adhi designs and invents products to help people navigate the energy patterns in their lives, transmute EMF smog and heal the earth. March 17, 2019 - Energy & The Reflexology Experience with Thurman Greco -- As dowsers, we work with unseen forces of energy. With a focus on using reflexology to address health conditions and illnesses, Thurman Greco will share her healing protocols and techniques, and take us on a journey where we will have an opportunity to both receive and give reflexology to one another. Reflexology involves the application of pressure to the feet with specific thumb, finger, and hand techniques. Learn to do reflexology on yourself, friends and family to Fight Stress, Encourage Enthusiasm, and improve Immune System function to resist Infection. Learn to dowse the energy in your feet. You may bring a pillow and your favorite cream or lotion if you wish. Bring your pendulum. We will be dowsing and working on the chakras in our feet. We will also have time for a carpal tunnel exercise, so there is a lot to look forward to. The session is very informal with plenty of time for questions and answers. Receive reflexology charts and instructions. About: Thurman a massage therapist/reflexologist since 1981, has taught reflexology, Reiki, and other healing modalities since the 90’s. Thurman has a practice in Woodstock, NY. she can be reached: (845) 399-3967 thurmangreco.com http://www.reflexologyforthespirit.com Thurman wrote a book on wellness, “A Healers Handbook" which will be for sale at the meeting for $15.00. She will donate $5.00 of each book sold to M-H Dowsers. Tuning forks were originally used to tune musical instruments because they emanate perfect sine wave sound patterns for fine-tuning instruments to the proper pitch. When you strike a tuning fork, it causes the air around the fork to vibrate, sending out strong vibrating impulses through the air. 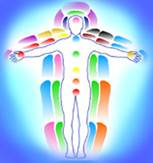 In energetic healing, they can be used for clearing non-beneficial energies, tuning a person's energy field (also called the biofield), and to increase energy on parts of the body. Placing them around chakras or energy centers along the spine, send impulses to the different organs, stimulating the flow of energy through the organs. Using tuning forks can result in a relaxed state, increased blood flow, enhanced immune response, fully integrating body & mind, and experiencing higher levels of consciousness. To determine which tuning forks to use, what order to use them, and where to place them -- dowse it! Scott will present basic theory of sound therapy and demonstrate with a tuning fork ‘concert’. You are welcome to bring a yoga mat, should you wish to lay down during the concert. Scott is looking forward t o answering any questions you may have and giving you an opportunity to try out his tuning forks. Scott Hartley studied the use of tuning forks with John Beaulieu of Biosonics, and uses biosonic tuning forks. The pure and harmonious tones of the tuning forks calm, stimulate, and balance the human biofield. 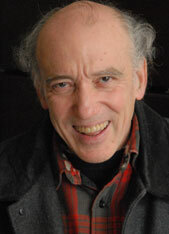 Scott studied physics and philosophy at Rutgers University, and music at Westminster Conservatory. He has a Master's degree in Natural Medicine from Quantum University. November 18, 2018 - Quantum Healing, Agartha - Inner Earth and the 5th Dimension - Speaker Jennifer Galligan - We are in a great time of change, when our choices and intentions will impact our destiny in amazing ways that are seemingly magical! This will happen as individuals and as a collective on all planes of existence. Our world will be nothing like it is now, instant manifestation and emerging organic technologies will create a seemingly dreamscape. As dowsers, we know we create our reality through our thoughts, words and intentions. We shift our reality by shifting our perception. What we think matters as much as where we cast it with intention. We are unaltered game changers working alongside prime creator. As a bringer of truth and awakened consciousness, Jennifer Galligan serves as a bridge of knowledge and a foundation for an extraordinary network of people, who are changing reality on a grand scale. Join Jennifer as she shares information about the hidden history of our planet and our galactic past; the secret space program. inner earth, the cities and beings there, who they are and why they are emerging now. What is their message? What is quantum science, what is the Electric Universe and what are the mechanics of manipulating energy into matter and creating our own version of reality? How will it change everything we’ve ever known and how do we unplug from the old version of reality? We will contemplate ideas about ascension, flat earth, and discuss, “are we truly on earth or just in a projection of it?” Be sure to bring your pendulums so you can dowse the accuracy -- your truth -- of what will be revealed. Learn about the links between the Montauk Project, Antartica, time travel, implants, DNA/genetic tampering, extradimensional, interdimensional and elemental beings; and the conscious and subconscious mind. Jennifer will begin her presentation with the Unity Breath meditation, to help us expand our heart consciousness. About: Jennifer Galligan was born in July, 1967 amidst the Summer of Love…….which shows in her mission in life. She promotes self-healing, self-responsibility, compassion and service to others, and practicing impeccability to help shift the consciousness of the planet onto a positive timeline. She feels life should be fun and we should have good health, with opportunity to experience freedom, unity, and especially love and joy in all things. She knows that evil, fear and scarcity are illusive constructed programs of the mind. A creation by those who wish to control human consciousness for self-serving agendas. 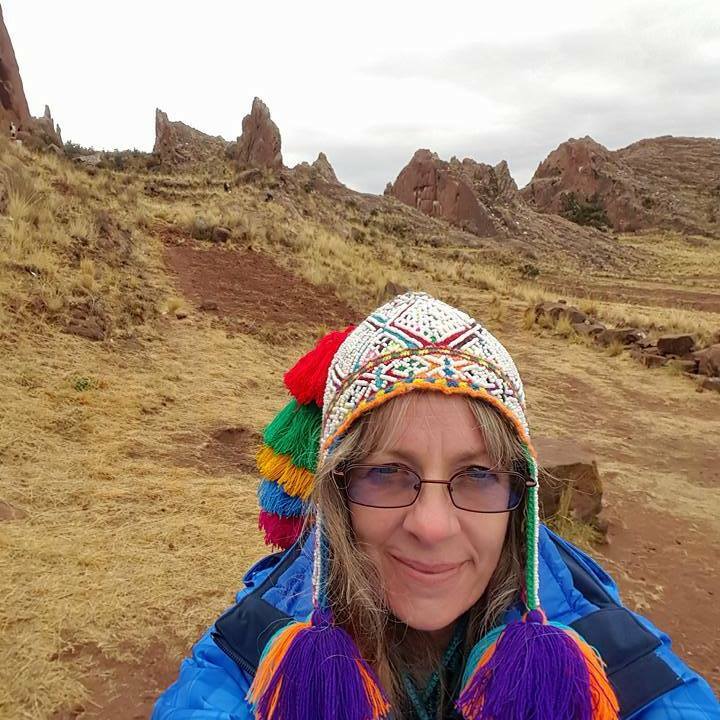 Jennifer has researched many topics including healing, using the heart in the creative process; quantum healing devices and technologies coming and some that are here that will carry us into a new age of wellness and longevity. Jennifer can be reached at healingheartchakra@gmail.com and (508) 667-2770. Newtonian - Makes a big effort and struggles to get results. Usually a new dowser. Ptolemaic - Water dowsers, who realized the various aspects of "subtle energies". They could trace the different types of energies around them; define beneficial spaces for placing megalith monuments; understood the relationship of the energy grid of the earth. Energy - Able to trace different types of energies more accurately; define beneficial spaces for placing cities, places of worship, etc. Synergy - Able to influence, utilize and direct through intention, the energies around them in a very dramatic way. Quantum - Able to influence and impact things at a distance, beyond time and space. 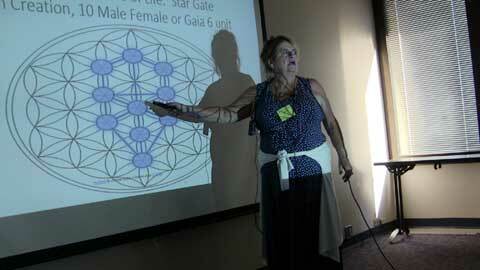 Seeing beyond the hologram, utilizing scalar waves, language to activate spirit-brain-mind interface. Those who use a quantum field consciously or intuitively. Used for healing and to pinpoint a problem. Quantum Unified Field - You feel everything around you... like empathy on steroids! Experiential vision of reality on a very deep level. Extension of ourselves, an elevated form of Oneness, expands in all directions, working with higher level beings, ascended master. We each utilize one or a combination of these types of dowsing. You can dowse to expand your dowsing abilities. He will teach us the importance of cleaning up our artifacts, putting things back into balance after dowsing. He will discuss the future of pendulums, new developments, new images, new wave forms creating new and different values. He wants you to ask questions, this will be a very interactive meeting. 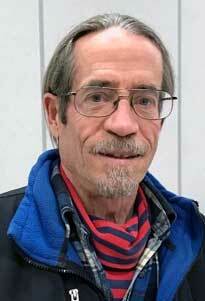 Meet Cleigh THE most knowledgeable person in the field of Pendulums. August 19, 2018 - The Zodiac and The 12 Mineral Salts of the Body Isolated Form The Waters of Life, with Laraine Flannery. The Relationship of the minerals of the body to the signs of the Zodiac. Dr. W.H. Shuessler who played a large role in isolating these minerals from the Fountains of Youth in the late 1800's, was a Homeopathic Physician as well as a Biochemist. Along with Dr George Washington Carey this great work was assigned to the Zodiac with the help of Inez Eudora Perry. This is a wonderful study of Man as a Cosmic Image, learning throughout his evolution to return Nature to his "Divine Nature". These electrolytes are found in our food and water and carried into the blood, where the process of life and by the law of a chemical affinity keep the human form, bodily functions, materialized. When a deficiency occurs by trauma or through a non-assimilation of food, poor action of liver or digestion process start to occur. This is a fascinating study of The Cosmic Man learning to be Divine through the laws of Nature. Come learn the key to physical regeneration and spiritual illumination. 1. Vermont Stonehenge, Woodstock, VT. - Vermont Stonehenge is an ancient construction of enormous standing stones set in a circle, like Stonehenge in England. Whoever built this must of been well versed in astronomy and stone construction. Is the site an astronomical calendar? Was it used to determine solar and lunar events of the year? Among the questions we will be dowsing: Who, when and why this stone structure was constructed. Is this a Stargate? 2. 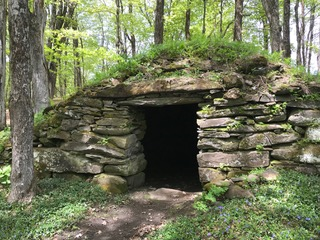 Calendar II Stone Chamber, Vermont - The ancient chamber is on the same property as Vermont Stonehenge. According to Madis Senner, the chamber sits on a water dome that, in his opinion, formed in response to prayer/ceremony/meditation. A water dome forms when a vertical vein of water attempts to rise to the surface of the earth and form a spring but it is blocked; consequently a dome or pool of water forms. We will be dowsing who, when and why the chamber was built; information about the water dome and any water veins that may be present. 3. 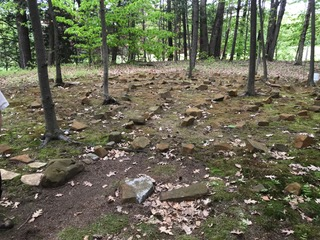 The Susquehanna Stone Labyrinth created by Pat Burns. The labyrinth was constructed by Pat on his property in Vermont. You'll have an opportunity to Dowse the types of energies here. I hear that there is nice energy here. 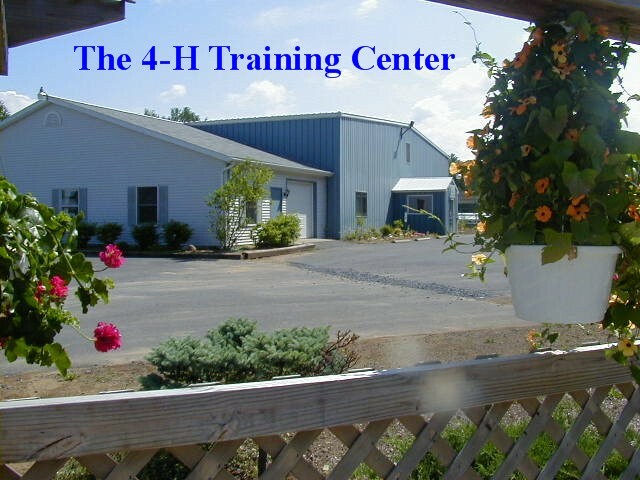 Dream Barn Hollow - This is a spiritual, practical, artistic, creative educational center. It's a place to connect with nature, meet people, and integrate valuable techniques, knowledge and experiences. Located in Southern Vermont, along the Williams River, it provides meeting space, family style accommodations and diverse gardens creating a peaceful and intimate atmosphere. Dream Barn Hollow is located off I 91 on Vermont Rte 11 West, about 20 minutes from the Okemo Resort Areas and about 45 minutes north of Brattleboro VT. It is the home of Alice Harwood, who operates Space Inc., a 501(c)3 non-profit. Contact Alice at 802-875-1717 or email: dreambarnhollow@gmail.com. April 22, 2018 - Water Dowsing and Well Drilling”- Alex Keyser with Bill Getz - Alex is a fourth generation well driller and seventh generation blast hole driller. He operates Claverack Pump Service, has 16 employees and uses modern equipment and technologies. He takes pride in his modern equipment and the ability to operate in a very ecologically safe manner. He serves Eastern NY, Western Mass., and Northern Conn.. He will share thoughts on the opinions of well drillers and dowsing, meeting Bill Getz, learning how to incorporate dowsing into modern drilling techniques. 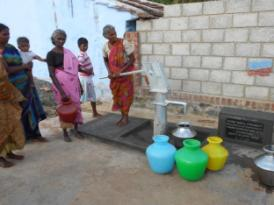 He will discuss water well development; techniques used, processes involved, and the science behind how to decide when to use them and when to stop drilling. He will share several interesting success stories showing how he was successful in finding water in some very difficult conditions. He and Bill will be able to answer any and all questions with their many years of knowledge and experience. March 18, 2018 Clearing Land, Home, and Gardens with Dan Arseneau - Dan earned psychology degrees from McGill University and the University of New Haven, where he discovered that academics have a limited understanding of human behavior. He was a teacher in higher education, an army combat veteran, and a human resources executive in healthcare. SUBJECT: Land carries and holds energetic memory, some natural, some man made. A portion of this energy isn’t beneficial to humans; it can cause or contribute to many chronic health conditions and can be physically and energetically toxic. 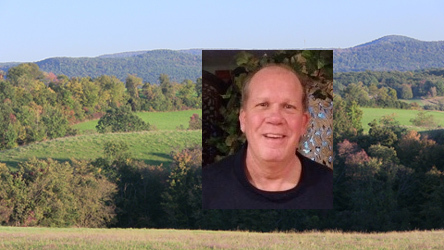 Dan will present a dowsing protocol he uses to clear, balance and neutralize homes, land, gardens,(and people) of non-beneficial energy, entities, thought forms, geopathic energy lines, EMF, portals, trapped emotions, energy cords and more. This is a 'how to' workshop that you can use with your own dowsing skills to clear and transform your own property. He will also show you some of the tools and devices he uses in clearing; many are home made DIY. He will also provide information on working with and co-creating with your land Elements to transform and raise the vibration of your landscape, gardens, property and everyone on it.Why not ask for advice and assistance from your own experts,your own Elementals. The fun really begins when you ask them what they want! While based in dowsing, this information also touches on aspects of geomancy, feng shui, and the shamanistic traditions. However we label them, it’s all the same energy and vibration. 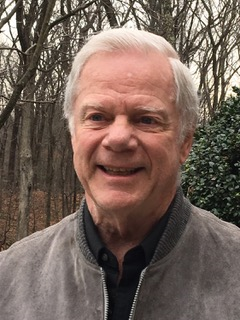 In addition to his dowsing practice he is a Marconics Level IV Quantum Recalibration Practitioner, uses Emotion Code, and teaches day long seminars/individual Human Design readings. 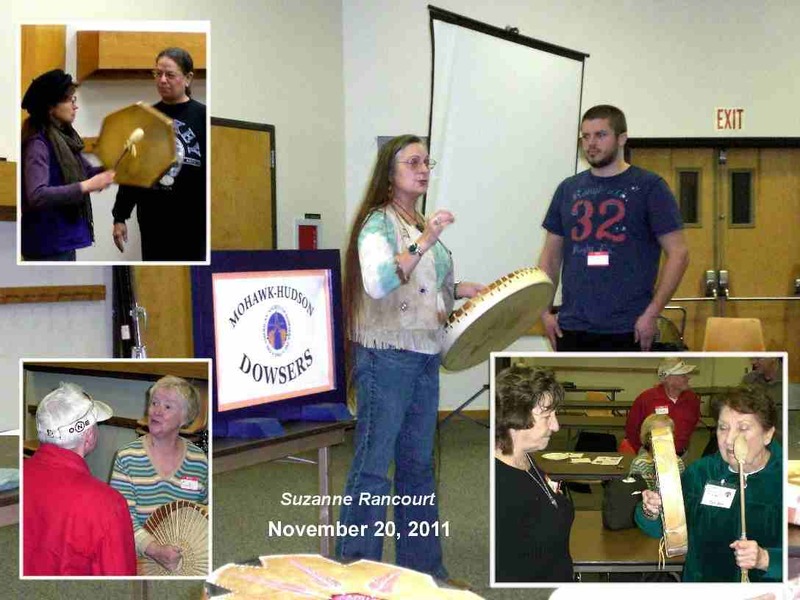 He has presented at Dream Barn Hollow, at the Living Water Chapter and at the Annual Convention. This is being offered to our group of Dowsers, thanks to Trent Millet, our president. Special Discount For Mohawk-Hudson Dowser Members ONLY! While bathing in it your heart goes into a state of relaxation while blood flow to the body is increased due to expansion of veins, arteries and capillaries (vascular dilation). Blood pressure equalizes to normal and 3 to 5 times the normal amount of carbon dioxide is removed from your body. The Natural lithium so necessary for brain and immune function is being absorbed as is a very body compatible iron. The experience of skin softening and restoration is due to the natural silica. By the medical records Roosevelt bath has a 93.9% success in rheumatoid arthritis, 93.1% in osteoarthritis and an 89% success rate in Gout!. This is not your home bathing experience. Take advantage of this opportunity. July 4, 2012 Brett Wentworth Memorial Celebration!! Dowsing is an art that can be learned and experienced by all, if willing. It expands beyond the so called physical perceptive abilities, as well as the three dimensional limitations. Because we all have in common the physical vehicle needed in Nature along with the sensory system, it is a learned art, that has been practiced by our ancestors, especially utilized in the darker ages. Yes, it is only a tool. Used wisely it is a helping tool for detecting what all of humanity has forgotten. This annual event was at the home of Barbara and Bob Conary. Barbara and Bob graciously hosted this year's party. A mini-seminar by chapter member, John Ridge, who explained pure and unadulterated Chiropractic; How Chiropractic is related to dowsing, Why Chiropractic belongs to the masses, and How millions of sensitive people can quickly and easily learn to do the vital work. JOHN F. RIDGE, D.C. (Palmer School of Chiropractic 1960). Important Business Meeting -- We Need New Leaders." Sept. 19, 2010. We discussed leadership roles of our Chapter, as we head into the year 2011, and reviewed the overall responsibilities of office holders as it is at present. 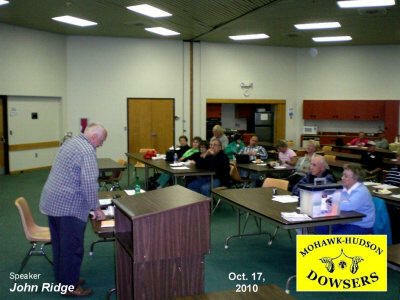 We considered and discussed possible changes without compromising our goal to promote the art of Dowsing. A request for members to consider helping out in some manner was made so that we could continue this tradition. Dowsing Practice at 12:30 pm. Business meeting at 1:00 p.m. ‘til 4:00 p.m. Developing Your Life Force with Qigong, March 21, 2010. Mary Chamberlain spoke to us about FENG SHUI, one of the eight limbs of Chinese medicine which all work together to create good health. Feng Shui is used to evaluate, remedy and promote influences that affect health, relationships and prosperity. A calm, balanced environment helps us to rest, relax, and restore our vital energies – it helps us to heal! 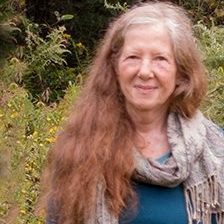 Mary Chamberlain is a member of the local Mohawk Hudson Dowsers, has a Masters in Oriental Medicine and is a Licensed Acupuncturist and Board Certified Herbalist. From Oriental Medicine to Feng Shui to Dowsing there is so much ancient wisdom inherent in the Healing Arts. 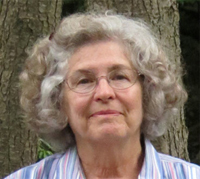 Contact: Mary Chamberlain, MS, LAc. at 518-798-8899. Dowsers train themselves to sense, see, or feel the naturally occurring energies that everything on this planet (including us) are made of. Dowsing is a tool anyone can use to explore truth and changes in life, effect change and create a better world. 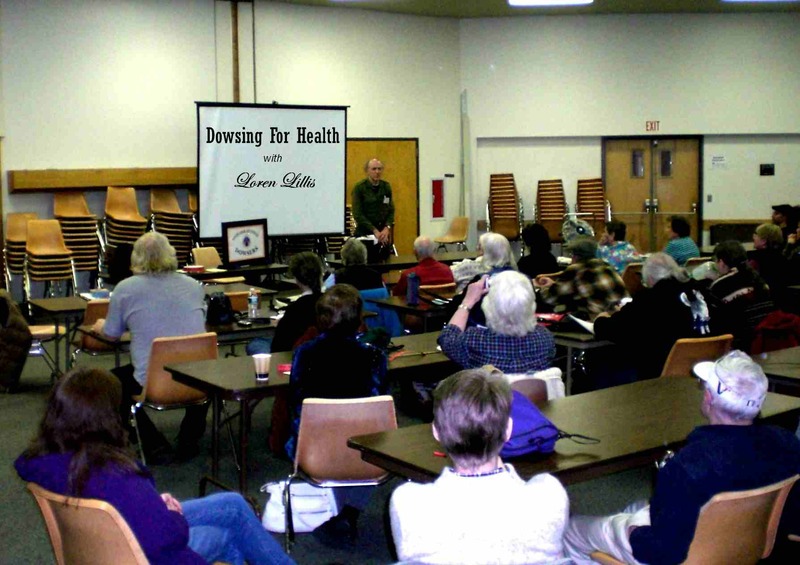 We invite anybody interested in dowsing and topics we focus our efforts on to join us! ½ Mile North of NYS Rt. 67 and 4 miles South of NYS Rt. 29.
and connecting with your heart.